The seeds have been soaked, the germination disk re-hydrated and spread, the lava paths have flowed and the dragons cave has been constructed (more or less) The seeds have been planted. This was all done on March 6, 2015. 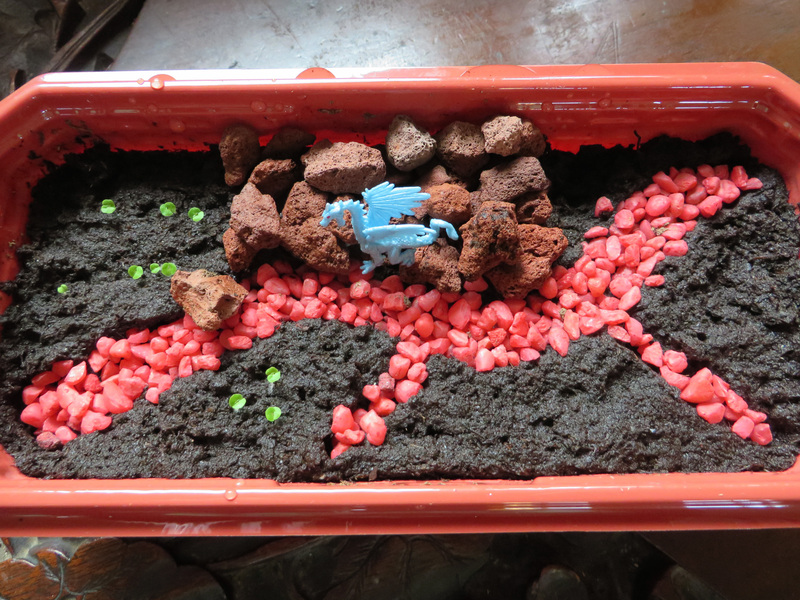 On March 12, I checked the terrarium and there are little Black Dragon Coleus seedlings finding their way to the sun. The Dragon Tree seeds have yet to sprout. 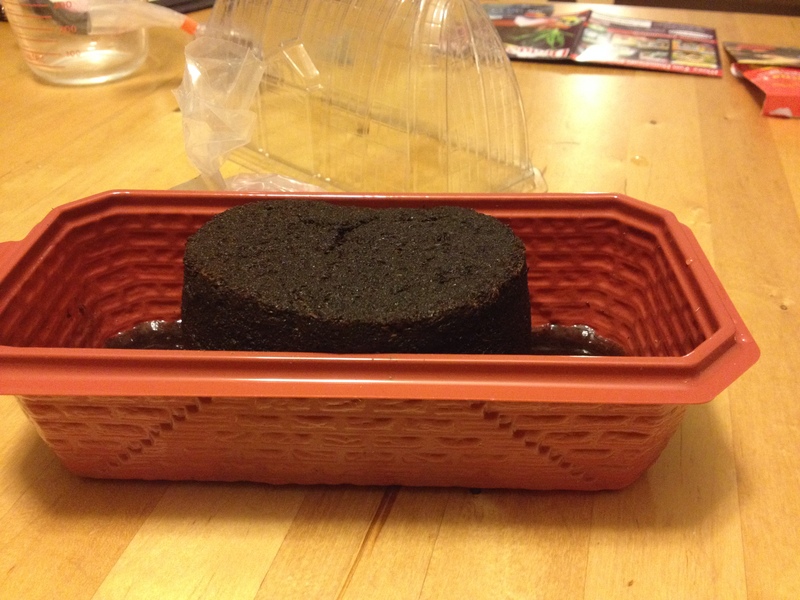 The soil seems a wee bit wet but I am following the instructions, these may just take longer. The germination disk before re-hydration. It is very thin and about 3 inches in diameter. After adding two cups of water. Such a fierce Dragon! The lava flow doesn’t seem to bother him. TaDa! We have Black Dragon Coleus seedlings! Hopefully in another week there will be some dragon tree sprouts. That is so cool – in a hot dragony breath, lava spill sort of way.